Dumbarton Oaks Byzantine Collection, 1940 Installation. The Blisses worked with the architect Thomas T. Waterman to design and build library and exhibition pavilions to the west of their Music Room, and in these additions they incorporated mosaics from the Antioch excavations that they had helped to fund. They engaged Marvin Ross to catalog the expanded Byzantine Collection, Elizabeth Bland to register and help install the collection, Barbara Sessions to assemble and catalog the research library (which by 1940 numbered some twelve thousand books), and Ethel B. Clark to catalog Mildred Bliss’s rare books, manuscripts, and holographic materials. They initiated the Census of Byzantine and Early Christian Objects in North American Collections, employing researchers Louisa Bellinger and Elizabeth Dow to undertake this task. They acquired for Dumbarton Oaks a copy of the Princeton Index of Christian Art, and initiated the Dumbarton Oaks Papers in the hope that scholars would publish articles on objects in the collection. All of this was in place when the Dumbarton Oaks Research Library and Collection transferred to Harvard in 1940. The direction that Dumbarton Oaks would take during its first decade would be left, however, to the new Administrative Committee (called the Administrative Board until 1942), which was chaired by Paul Sachs, Harvard professor and associate director of the Fogg Art Museum at Harvard University. This committee appointed staff and fellows, assisted in acquisitions for the library and collection, and most importantly, devised a scholarly program for the new research institute. 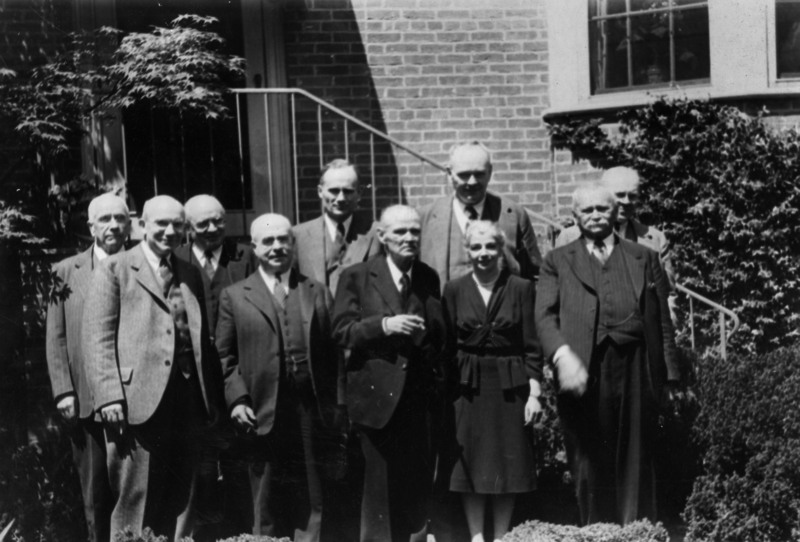 The growth and development of Dumbarton Oaks, as well as its initial successes and failures, would be determined by the decisions that the Administrative Committee made in its early years.